At the heart of James Cochran Restaurant is an exciting cuisine of Scottish and Jamaican influences prepared from fresh British produce. 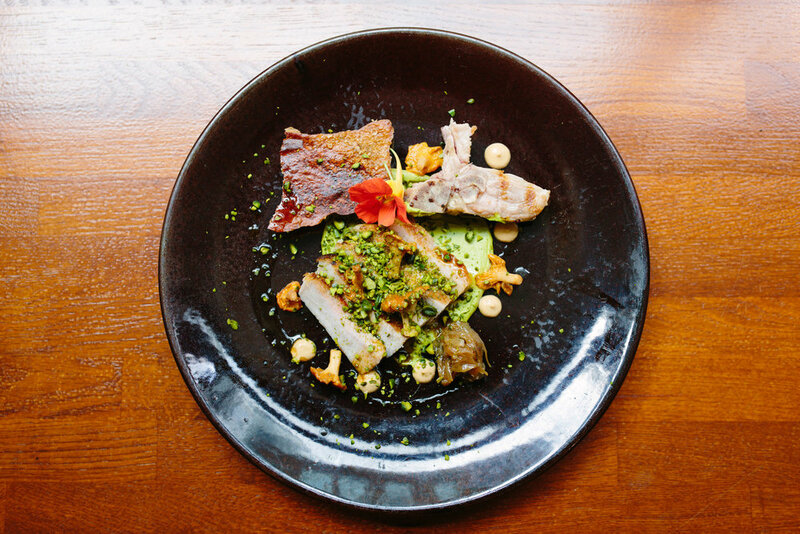 Ingredients are sourced from local producers in the counties surrounding London such as fresh fish and vegetables sourced from Kent, meat from farmers in Essex and foraged, wild ingredients from the Home Counties. Our farm-to-table ethos reflects our respect for regional culinary heritage and quality ingredients. And we are also committed to sustainable food and attempt to source from local ethical farms and like-minded artisan producers wherever possible. The team is highly experienced, having learned the craft of a top restaurant offering in such establishments as the two-Michelin-starred The Ledbury and the Michelin-starred Harwood Arms and have garnered such honours as having cooked for the Moroccan Royal Family on more than one occasion — about which they are entirely discreet, naturally. The restaurant is conveniently located in the heart of the City, a few minute's walk from Liverpool Street Station in an airy, unpretentious interior that places the food at the centre of the action.